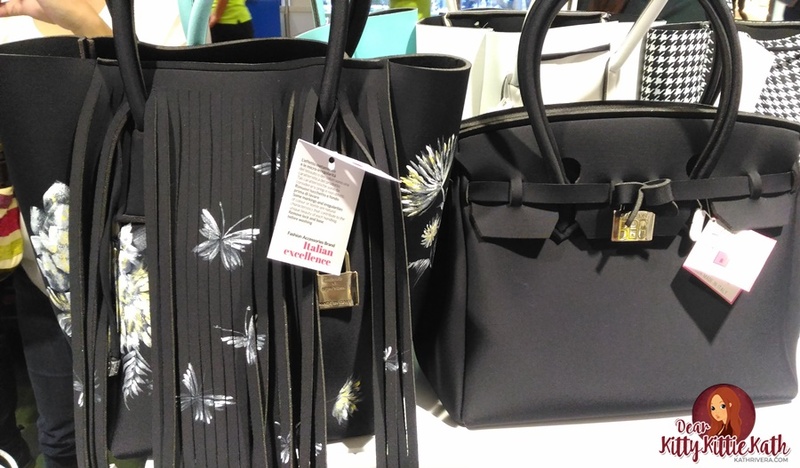 Last week, I was invited to the launch of another first in the fashion industry- the ‘it’ bag crafted entirely in Bergamo, Italy — Save My Bag, designed for the cool and aspirational set by husband and wife tandem Stefano and Valentina Agazzi at SM Megamall. Enter, then, Kiana Valenciano. After studying at the Raffles Design Institute and the prestigious Central Saint Martins in London (where the likes of Stella McCartney and John Galliano matriculated) and already an Instagram celeb in her own right, Kiana is excited to plunge into the glamorous world of fashion, armed with her knack in trend spotting and her fresh, free-spirited yet functional attitude. And for her most anticipated debut, Kiana takes on the reigns as style curator and creative team captain of a special, purely bespoke Save My Bag Collection — totally chic, uber trendy. 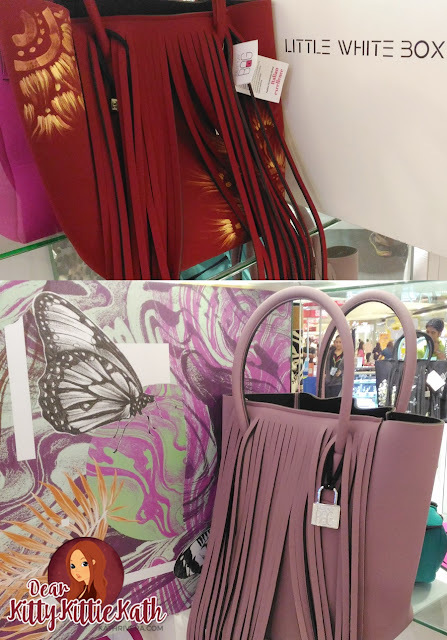 Joining her formidable team — her squad — is internationally acclaimed illustrator Daryl Feril (he was introduced to her by no less than eventologist Tim Yap) who is rendering his art to individualise the bags, which are ultra lightweight, rain proof, and made from hi-tech Poly-Lycra. 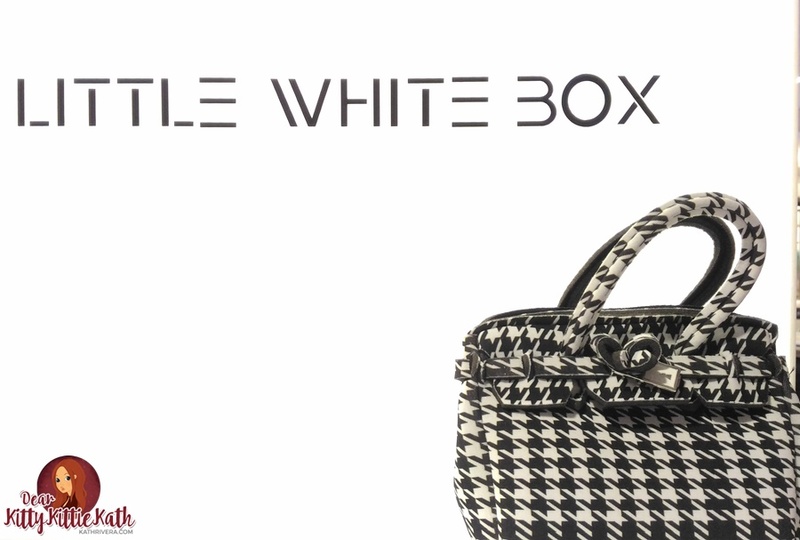 Powering this collection is her singular vision: one of collaboration—interfacing with young, talented, Filipino visionaries with a global perspective, just like Feril, who has worked with top global brands and design studios in Asia, USA and Europe (among them LVMH and Tory Burch) and has been featured in Juxtapoz Magazine. 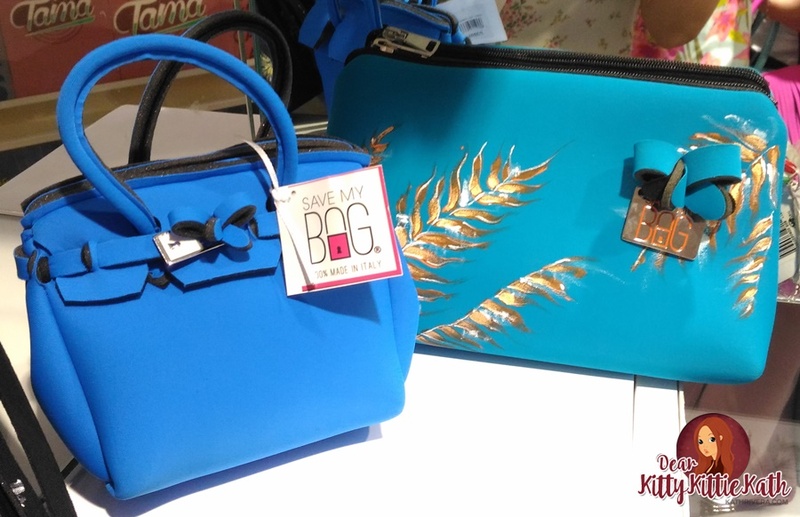 Here are the fashionable designs from the collection which I recommend for the the bag lovers out there. The bag is very light and perfect if you want to amp up your fashion game. The floral designs are perfect for the summer season while those neutral colors can be paired if you love monochrome outfits. If you want a high-end inspired design bag, you can opt to choose these designs below. There's a small pouch, a clutch style-one and an all-white weekender bag. For the classic design and neutral color lovers, here are the styles to choose from. These are my favorite designs and colors, it's so me. I find the design simple but stylish and elegant too. Daryl turned each and every bag into a unique canvas — allowing him to express his artistry freely. Lycra is a challenging fabric to work on, he experimented with different media in order to perfect his technique, and turned to Acrylic paint as his chosen medium. This ensures that the paint sticks to the surface for longevity. 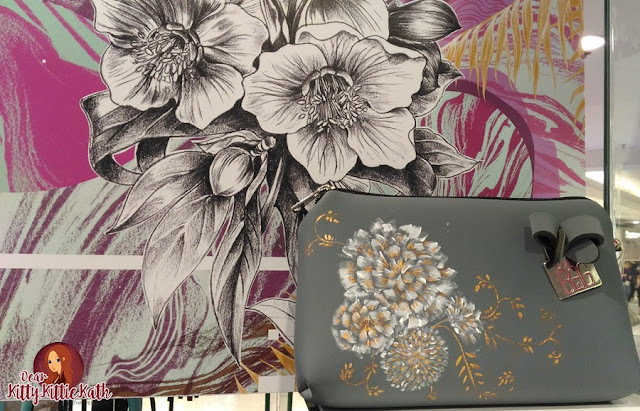 The illustration style is very pretty which is a burst of floral, taking inspiration from nature which has some of the craziest patterns, colors and creatures. A collaborative effort, which Daryl took in inputs from Kiana. Save My Bag collection is for the hip and cool individuals perfect for today’s fashion forward women who can effortlessly live out its design mantra — ‘be cool beyond the rules.’ The proud parents of Kiana Valenciano- Gary Valenciano and Angeli Pangilinan-Valenciano was there to support their daughter all the way! Thank you so much Save My Bag for having me. 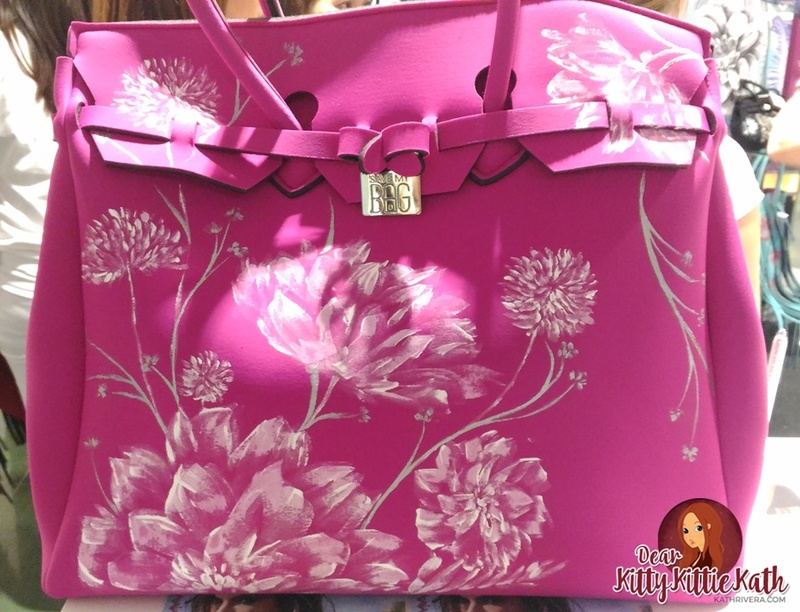 The collection is so me because I have a thing for floral patterns and neutral colored bags. 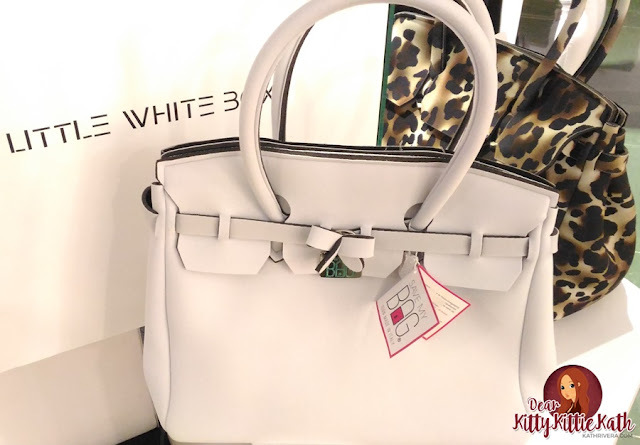 Don’t miss Save My Bag at the Little White Box Pop-Up store, the style portal for various international brands, at 3/F SM Megamall, Mandaluyong City.